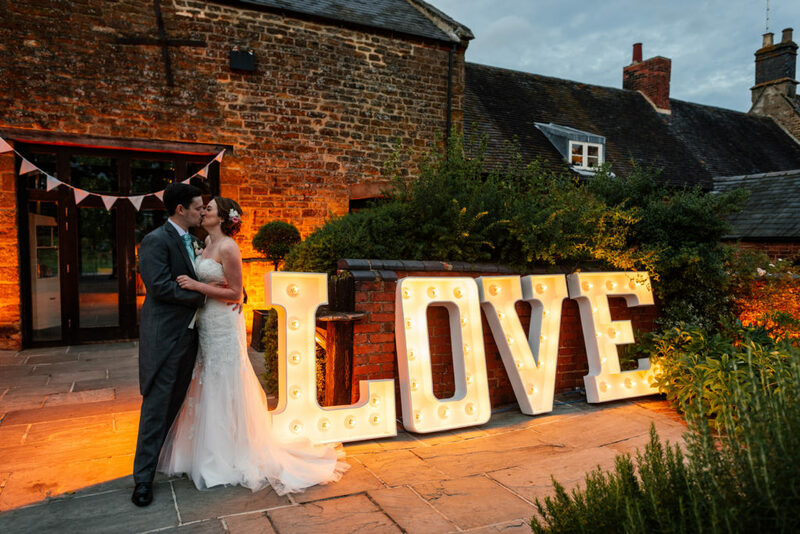 So having gained the confidence to propose in Italy last summer, we finally got married at the start of September! With the timing of the wedding we were fairly limited with the different locations that we could venture to where it wasn’t hurricane season. We considered going on a “mini-moon” however decided that we wanted to head straight off after the wedding so 2 days after tying the knot we packed our cases and headed off on a 3 week road trip around North America! The route… Washington DC, Santa Monica, San Francisco, Yosemite, Death Valley, Las Vegas and New York! Now I must admit, the idea to travel around the USA was entirely Sarah’s and when she first mentioned it to me as an option I wasn’t overly keen. I hadn’t been to America before whereas Sarah had been to Boston when a lot younger so already had some idea of what to expect. Myself however rather naively thought America wouldn’t have that much to offer… how very wrong I was! 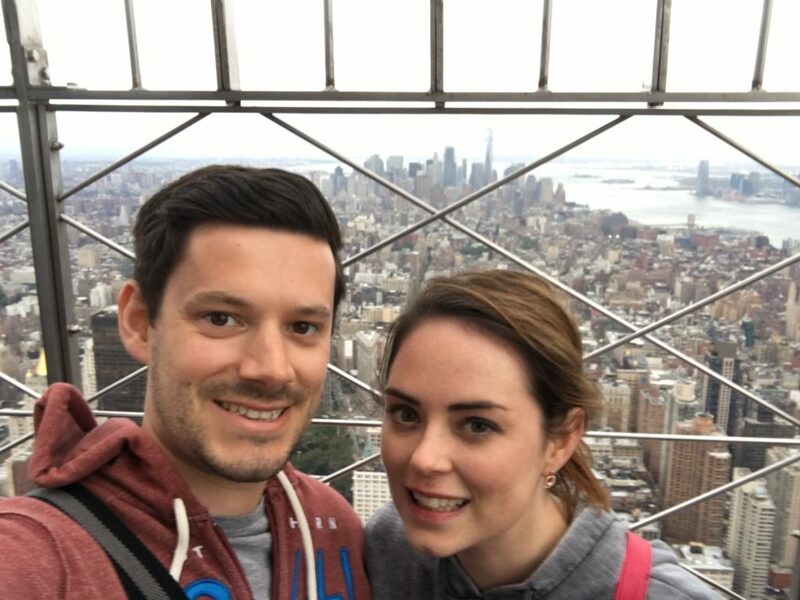 We decided that we wanted to take our time with the honeymoon and visit a lot of places to really make the most of it so we ended up creating a bespoke itinerary with Kuoni for 3 weeks away. Not only that but we figured we would only go on honeymoon once in our lives and so booked no less than 4 star accommodation, with a couple of incredible 5 star hotels thrown in the mix! Before embarking on our American adventure, first things first, we had to get there! Everyone, and I mean EVERYONE, had been telling us, “you must make sure you ask for upgrades everywhere!”, “everyone on honeymoon gets upgraded” etc. Well, as straightforward as that sounds, it wasn’t actually that easy! That said, from arriving at Heathrow the freebies did start to commence. Our first stop was checking in super-easily with British Airways – once aware that we were honeymooners, she placed us at the back of the aircraft by the window and blocked out the aisle seat next to us. This effectively meant that we had a private 3 seat booth to ourselves along with plenty of leg-room which was fantastic. They also surprised us with a compimentary glass of Champagne mid-flight! Our second stop at Heathrow having been up since dawn was to grab some breakfast so we headed across to Gordon Ramsay’s “Plane Food“. The food was excellent and not only that but when the waiter learnt of our honeymoon, a complimentary glass of Champagne was immediately brought to our table to celebrate! Relaxed and excited, this was a fantastic way to start the honeymoon. Having endured the 7 hour flight out of London Heathrow we touched down at Washington Dulles International for our first stop in Washington. Washington wasn’t originally on the itinerary however being the Capital it has always been somewhere I wanted to visit – watching a few too many political dramas on Netflix did it I think(!) It did however end up being a fantastic first stop on the holiday, breaking up an otherwise incredibly long flight direct to the West coast, but more importantly offering a huge amount of American history and culture for us to absorb which superbly kick started our stay in the country. Our stay in Washington was incredibly busy with us visiting everything on foot – the 2 full days in the City led to us racking up 27k steps per day! We visited loads of the main tourist spots including The White House, The Pentagon, Washington Monument, Lincoln Memorial and Capitol Hill to name a few and ended with a trip over to Georgetown which offered a completely different and more relaxed side to the City. 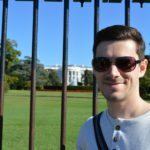 Washington was an amazing place to visit and one which really surprised me as to how much I enjoyed it – I think we’ll head back there in the years to come. Read more about my honeymoon in Washington here. With Washington done, we re-packed our suitcases (the first of many times that lay ahead! ), jumped on the subway and headed back to the airport for our 5 hour flight across America to Santa Monica on the West coast. Santa Monica was so much fun I don’t even know where to begin. It’s a beach town on the fringe of Los Angeles so you have the combination of amazing beaches thrown together with stunning multi-millionaire houses. During our stay in Santa Monica we were booked into the exceptional 5* Fairmont Miramar Hotel and Bungalows which was about a 10 minute walk from Santa Monica Pier. 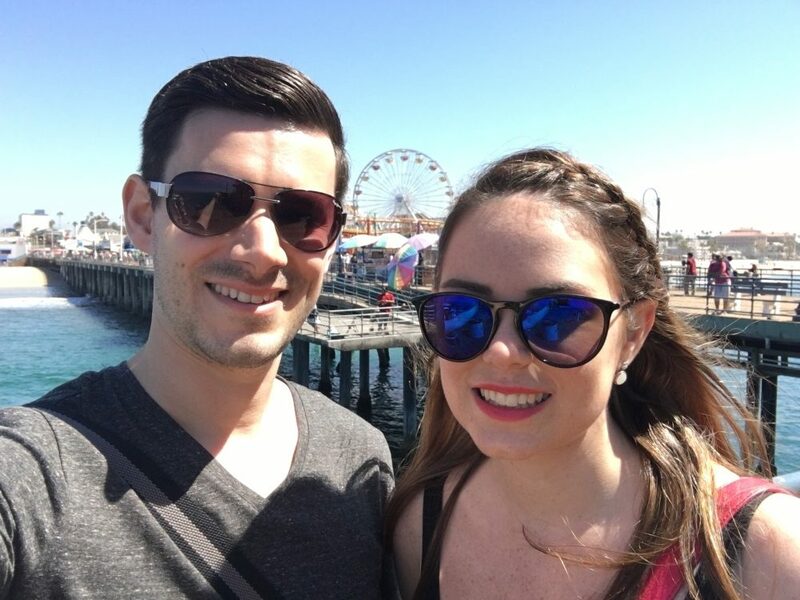 We explored the beach, pier, walked the boardwalk down to the extremely quirky Venice Beach and visited Los Angeles, Beverly Hills and Hollywood! 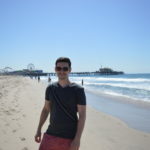 Santa Monica was great fun and looked just like the movies – roller skates, skateboards, palm trees, sun, sand and sea! Definitely counting down the days until we get to go back there for a beach holiday lasting longer than our 3 days! Read more about my honeymoon in Santa Monica here. Having seen the sights of Santa Monica we made our way back to the airport and picked up our convertible Mustang to start the next stage of the honeymoon – driving the Pacific Coast Highway from Santa Monica to San Francisco! For the next stage of the honeymoon we were to drive the 450 mile stretch of road along route 1 – the Pacific Coast Highway. With around 5-6 hours of driving to endure (not including stops!) we wanted to take our time. Therefore we stopped twice along the route with 1 night in Cambria and another night in Monterey. Being a guy who’s into sporty cars I wanted to do a classic American road trip and have a Mustang for the drive – the car that we picked up didn’t disappoint! 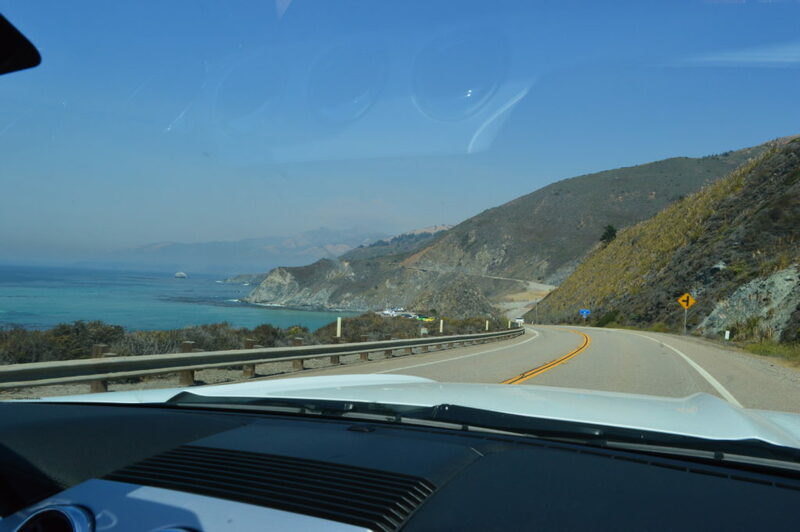 With the roof down, the wind in our hair and classic American rock driving songs playing, driving the coastal roads and along Big Sur couldn’t have been better! The views every step of the way were incredible. Read more about me driving the Pacific Coast Highway here. This is a drive I would highly recommend to everyone visiting the California coast. 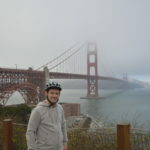 San Francisco delivered everything that I’d heard about – hills, wind, and mist! There was however a huge amount of things to do here. 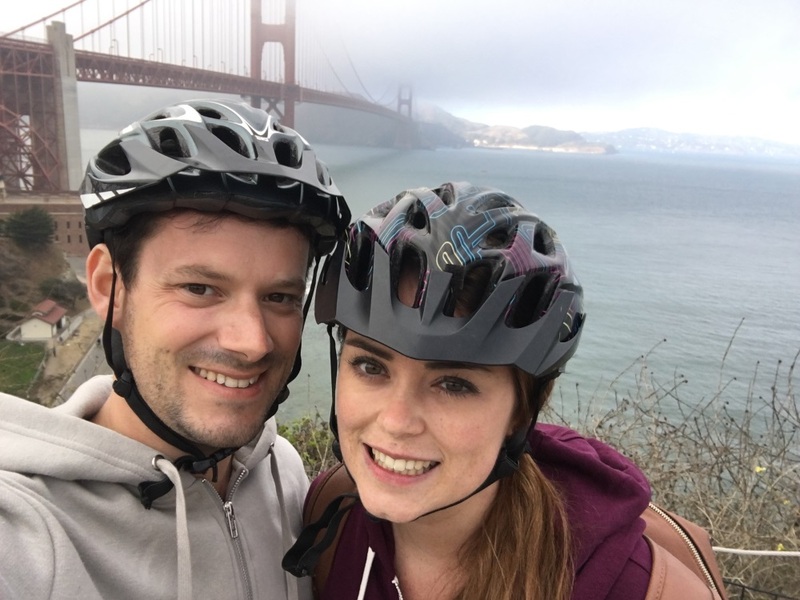 As recommended by others we hired bikes and cycled around the city and across the Golden Gate Bridge. We also explored Pier 39, the shopping areas, made a trip across to Alcatraz Island and did plenty of walking! San Francisco was great fun but like most places on our honeymoon it doesn’t really feel like we had enough time there to fully appreciate what the city had to offer. Having checked out our hotel, we headed to the car pick up and started our 2nd road trip – a complete change of scenery with 3 hours of driving (170 miles) to Yosemite National Park. Read more about my honeymoon in San Francisco here. 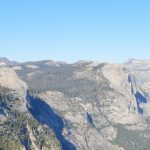 For the 5th location of our honeymoon we headed to the spectacular views of Yosemite National Park, staying in the Majestic Yosemite Hotel (formerly the Ahwahnee). This really was a place where the scenery was completely different to everything we had seen previously with elevation reaching hundreds of metres at times. No palm trees, sun, sand or sea and in fact, very few roads or buildings! 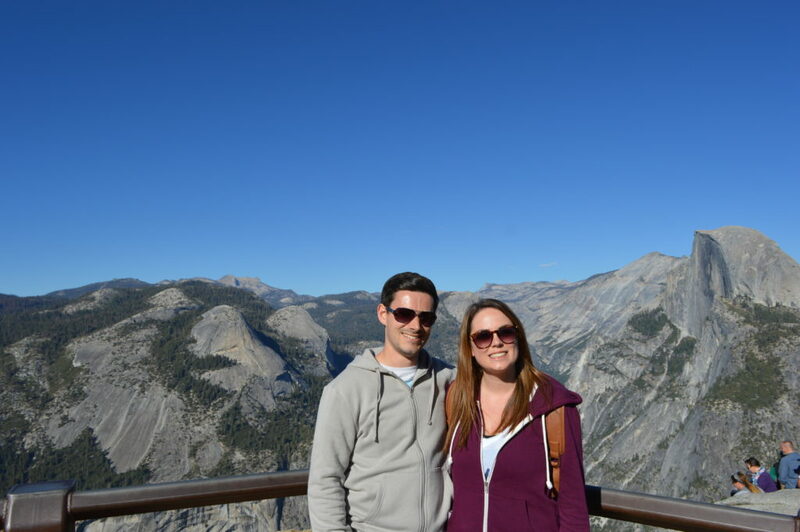 During our stay in Yosemite we visited all of the main hot spots including Tunnel View, Bridalveil Falls, Taft Point and of course Glacier Point. Yosemite was everything we hoped it would be, offering spectacular landscape views, some great walks and incredible views of the Milky Way. With all of the sights of Yosemite complete we got back in the car and started the next leg!.. a 6 hour drive (300 miles) to Death Valley. Read more about my honeymoon in Yosemite National Park here. 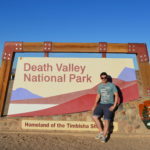 Death Valley holds the record as the hottest place on earth reaching a face melting 56.7 °C (134 °F) on July 10, 1913. Thankfully it wasn’t quite that extreme when we visited with the temperature hitting a mild mid 34 °C however it is an extremely dry heat so it did get a bit much at times! Death Valley doesn’t have much to offer beyond a couple of highlights. It is of course a desert with very little there. That said, some of the sights that it does offer are impressive. 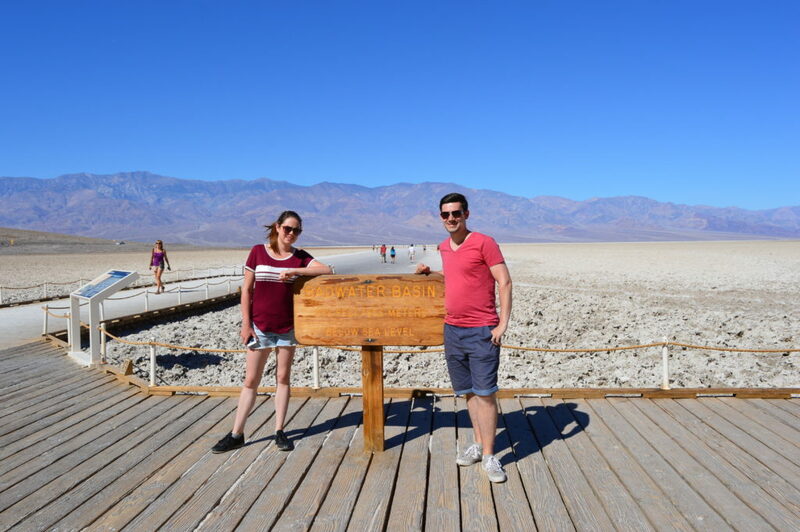 We visited the huge expanse of salt flats which lie 282 ft (86 m) below sea level at Badwater Basin, the Devil’s Golf Course, Dante’s View, Zabriskie Point, Artist’s Drive and drove some of the amazing mountain passes. Finally we went out late one night to see the stars. With no ambient light for miles in every direction the night sky is beautiful with spectacular views of the Milky Way. Death Valley was a place we only intended to stop at briefly and with only 1 night there that really was more than enough. Hiking is possible here but in all honesty the heat can be somewhat unbearable so isn’t something I would rush back to do! Read more about my honeymoon in Death Valley here. With Death Valley done, we packed up our bags and started the 1.5 hour (110 miles) drive into Las Vegas. Arriving into Las Vegas for the first time presented a mixture of thoughts and feelings. It’s somewhere you have heard about your entire life, you’ve seen all of the photos and heard some stories. Actually being there was a bit surreal. Seeing the size and design of some of the hotels made you look twice. It was hard to believe that such a place could actually exist in the middle of the desert! Whilst in Vegas, like the other honeymoon locations, we really tried to fit as much in as possible. 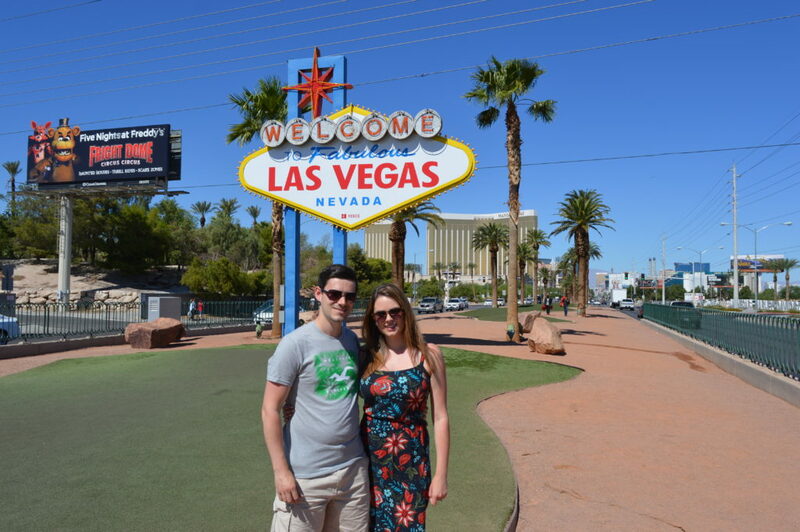 This led to us visiting the Welcome to Las Vegas Sign (a deceivingly long walk away from the strip! ), walking the length of the Vegas strip, exploring all of the quite frankly crazy hotels, watching the fountains at the Bellagio, playing some slot machines, going to see La Reve by Cirque du Soleil and finally taking a champagne helicopter tour of the Grand Canyon, Hoover Dam and Lake Mead! We stayed at the Aria during our stay and got upgraded to a corner suite (Tower Suites) too which was incredible, it was like staying in a flat! Las Vegas was one of those places where everything about it was done bigger and better than it needed to be from the hotels to the scenery to the food! I feel like I’ve seen Vegas now so unless there’s a stag do or other similar party occasion I don’t think I’ll need to head back anytime soon! Read more about my honeymoon in Las Vegas here. With Vegas done we packed up our bags, headed to the airport and got our 6 hour flight back across America to New York for the final stop of the honeymoon! So 17 days after flying out of Heathrow we finally arrived at New York! This was somewhere that both Sarah and I have wanted to visit our entire lives. It’s always in the movies, it’s similar to our home city of London, it offers a great skyline and is paved in history. Our location in New York couldn’t have been better, staying right on the Southern tip of Central Park. This made it extremely easy to get around. During our stay we walked around Central Park and got a City Pass which offered discounted entry to a number of attractions. We therefore used it to explore Top of the Rock, the Empire State Building, Ellis Island, Statue of Liberty and the 9/11 Memorial at ground zero. Read more about my honeymoon in New York City here. New York was definitely one of my favourite places on the honeymoon. There was so much to do there, so much to see and so much going on! So that was it, 9 years together culminating in an incredible 21 day honeymoon around America! Everyone has been asking us what our favourite part was and in all honesty there really wasn’t one bit that stood out above all else – the entire trip was incredible for so many different reasons! We managed to cram so much in during our time there we really made the most of every minute. One thing that I won’t forget anytime soon was having to tip absolutely everyone, constantly! 15-20% on your food bill is pretty standard. That said, the service that the Americans gave us in every location was outstanding. I have honestly never felt so welcome in a country and actually enjoyed the customer service. I also made sure that wherever possible I drank all of the local IPAs, which lovingly accompanied the food… I will never forget the size of the food potions – they are RIDICULOUS! What was great about the honeymoon was that we got to see so much of America, albeit for a small amount of time in each location. It was a great taster for what will no doubt now be future trips to America, knowing where to go and how much longer we need in each location. So that was Sarah and my 2016 honeymoon in the USA! 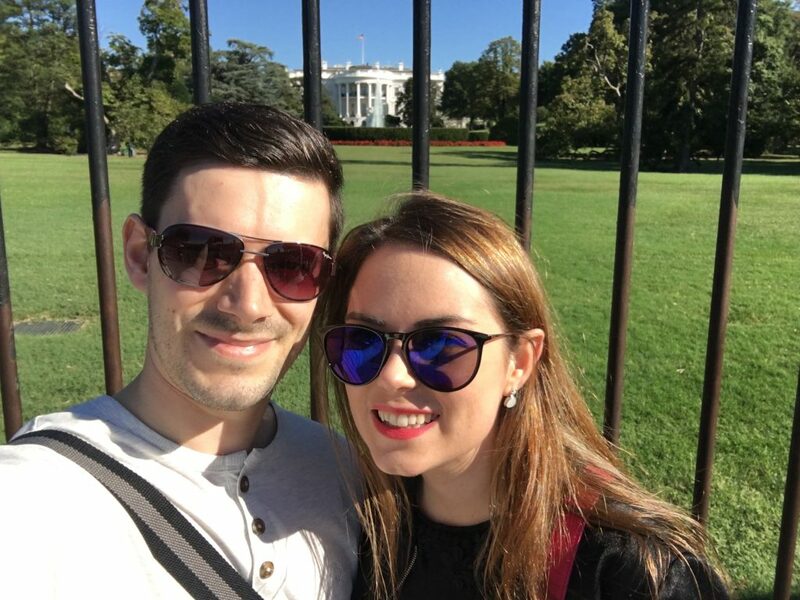 If you’re looking to book a honeymoon in America then I hope this and my other honeymoon blog posts helped you out! The trip was incredible and I wouldn’t have changed a thing. Wow! Great photos and great memories. WOW this looks and sounded bloody awesome! That Mustang is SWEEET! I’ve heard great things about Kuoni! Great pics buddy! Very nice! Mainly see the red ones! They have just started selling them over here haven’t they! Not really sure they belong on UK soil though!